Whether its swimming in turquoise blue water, trekking to a waterfall for a sublime yoga session, fun Fiji fitness workouts or just being adventurous by testing out a new cocktail our ​Fiji Fitness Retreat ​is for ​YOU. 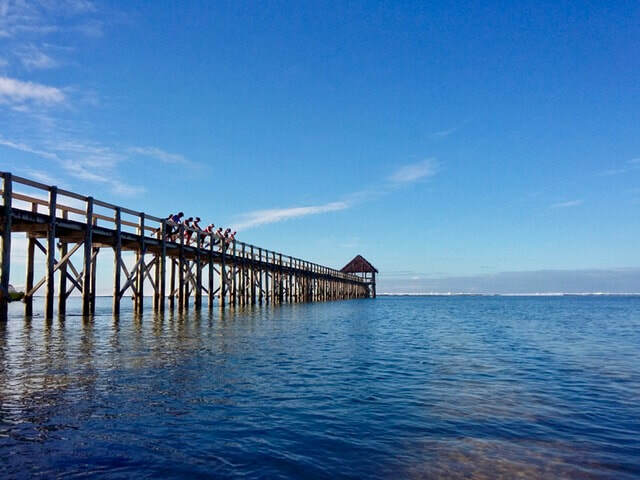 If you are a devoted yogi or not sure if you can even touch your toes, a regular bootcamper or you dont know what a burpee is, you are a perfect fit for our ​Fiji Fitness Retreat​. ​Satisfy your hunger for travel & a healthy lifestyle by joining us on the well deserved getaway you have been meaning to take and discover why Fiji is known as the paradise "where happiness finds YOU". ​It's time to go on island time, it's time to get some much needed YOU time, it's time to connect in with Fiji tropical paradise, it's time for ​​a healthy active escape, it's time for loads of belly laughs with old & new friends, it's time to get the tools to start living your healthier YOU. Nourish your body, spirit and mind, feel the stress melt away, get fitter and healthier in the magic of Fiji. You will identifiy strategies and get tools that will keep up your island glow when you get home. 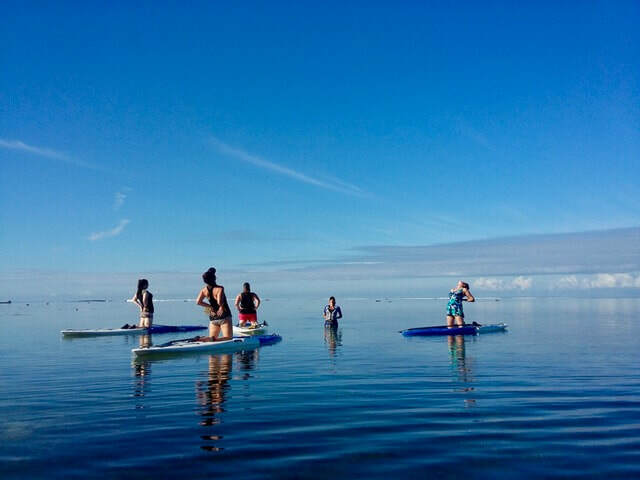 Our ​Fiji Fitness Retreat ​is all about having a fun active holiday. We will have daily fitness sessions taking in our beautiful tropical paradise. Miss a workout, who cares you are on island time and there are plenty of other activities to keep you occupied. Snorkelling, kayaking, SUPing in the turquoise blue marine park which is right at our doorstep, enjoying a refreshing dip in the 25m pool, and there is nothing better than laying on the pristine white sand beach or just taking in the view from your sun lounge, relaxing and recharging - just paradise. ​WARNING:​ May lead to extreme relaxation and a blissed out trance. We will be heading out exploring, making adventures and taking in the beauty of Fiji. 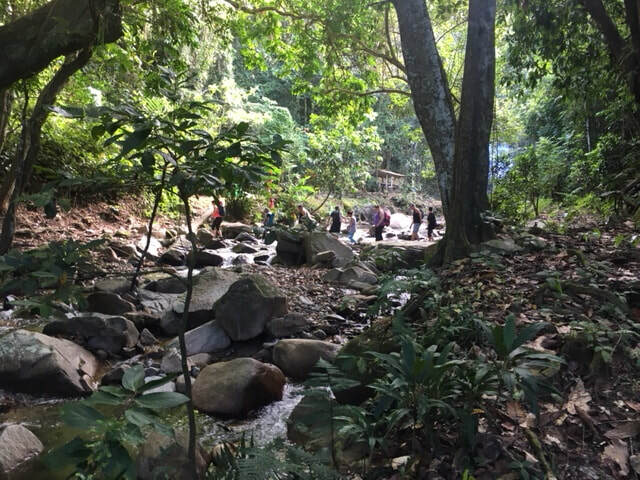 Imagine an early morning trek through a lush rainforest (dont worry not too early) for an inspirational yoga and meditation practice beside a cascading waterfall, then going for a revitalizing dip in the the natural lagoon followed by a tropical breakfast. Let's see what happens, remember we are on island time, but a sunset cocktail on the beach is too good an experience to miss. The sky becomes a patchwork of colours, blues, golds and impossible pinks as Fiji shows how it ends its day. Lets get on the right track with your fitness and wellness by nourishing your body with workout sessions which get you moving by fusing different fitness elements and learn wellness tools and strategies so you can keep your island glow going when you get home with our Wellness Coaching Session. We will be staying in Fijian inspired bures on the stunning Coral Coast (about 2 hours from Nadi Airport), perfectly set amongst a coconut tree lined beachfront facing a stunning ocean lagoon which is only a few small steps from your door. Enjoy uninterrupted views of the glorious Pacific Ocean and Coral Lagoon from your balconies. There a 4 spacious bures perfect for twin share , living area, small fridge (WOW you can bring your own duty free), all have a/c. The great news we have exclusive use of the resort, it will be all ours, no other guests to worry about. ​We will be nourished by loads of yummy islands feasts, local fresh produce, which fuses together Fijian, Indian and contemporary food all cooked by our amazing local Fijian foodie experts. 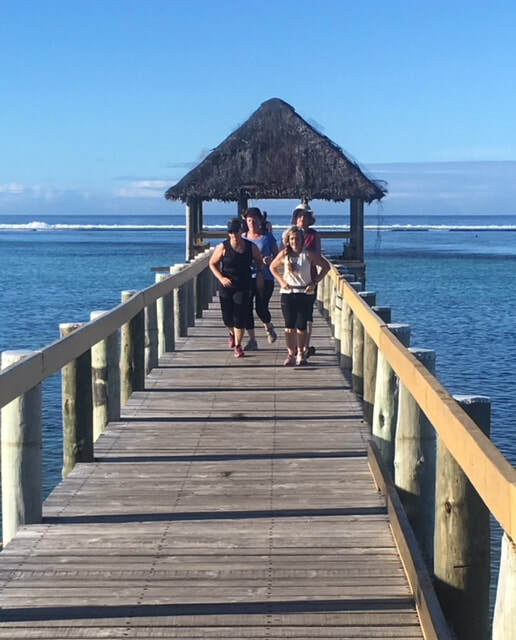 We are really excited about our ​Fiji Fitness Retreat i​t is a perfect escape, so set your watch on island time, unwind, immerse yourself in the lush tropical Fiji Island. Let's find a balance of healthy living, fun fitness sessions, amazing adventures, food that will nourish and loads of laughs with old and new buddies. ​Twin share accommodation in Fijian inspired spacious bure with private bathroom, fridge, includes bed linen, bath and beach towels. 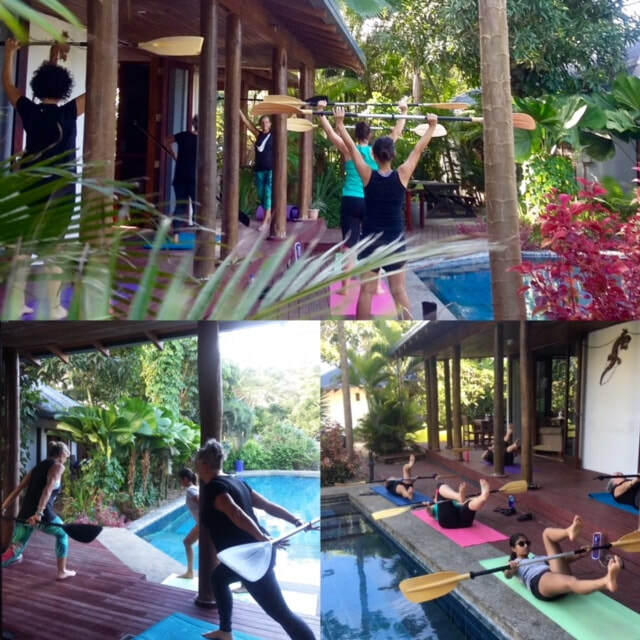 ​Daily fitness sessions (minimum 1 per day) including fitness workouts, yoga, meditation, pilates, treks, stretch sessions, SUP lesson, SUP yoga. ​Stay flexible we may add extra or change activities and adventures to suit to needs and wants of the group and all activities are dependant on tides, cultural events & nature. ​Any private tours or activities.